Jypyä Pop (Turku, Finland) on 29 May 2017 in Animal & Insect and Portfolio. Good title and a lovey moment . What a happy moment this makes!! this is a lovely image, well captured! Haaa oui tout à fait ! Une belle prise! Yeah, nice capture of their happy moment ! Great capture of these two!! I love the highlights in the grass. a great catch..they run so fast!! Beautiful title too! They run fast, good job catching up with them. 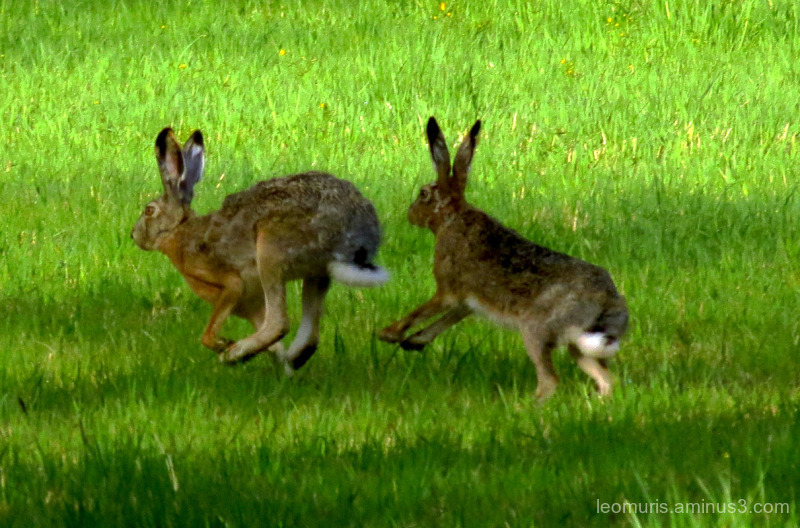 A beautiful capture of the hopping rabbits. A happy scene. They are so large! I love this happy image! Superb capture !! Beautiful photo . This is such a happy shot. It made me smile.